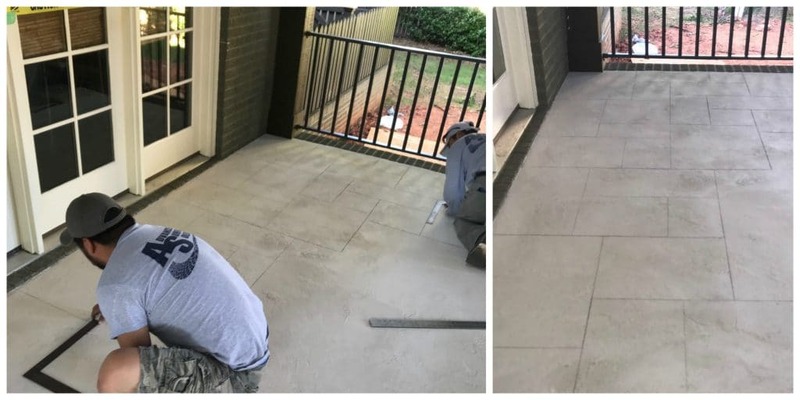 When selecting the flooring for a covered porch and patio project, our clients had several options: tile, natural stone, wood decking, brick, etc. 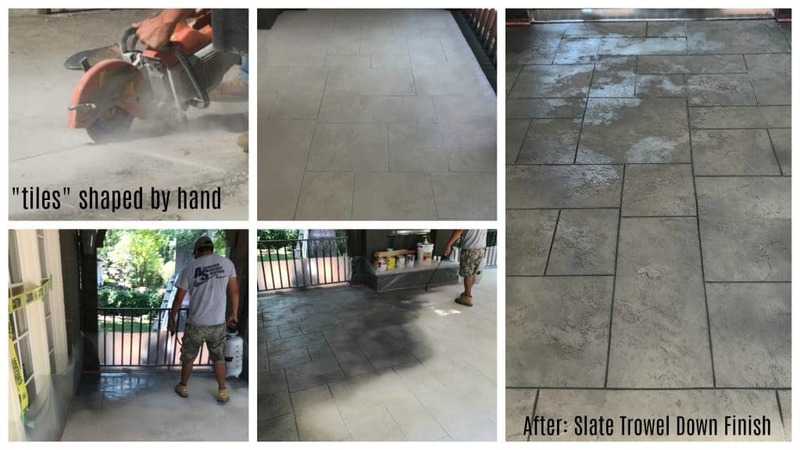 They chose to pour a concrete slab and give it a “Trowel Down Slate” coating. The finished result is a beautiful, slip resistant floor at a significantly lower price point than other options. It is also a time saver, as the project below took two days. 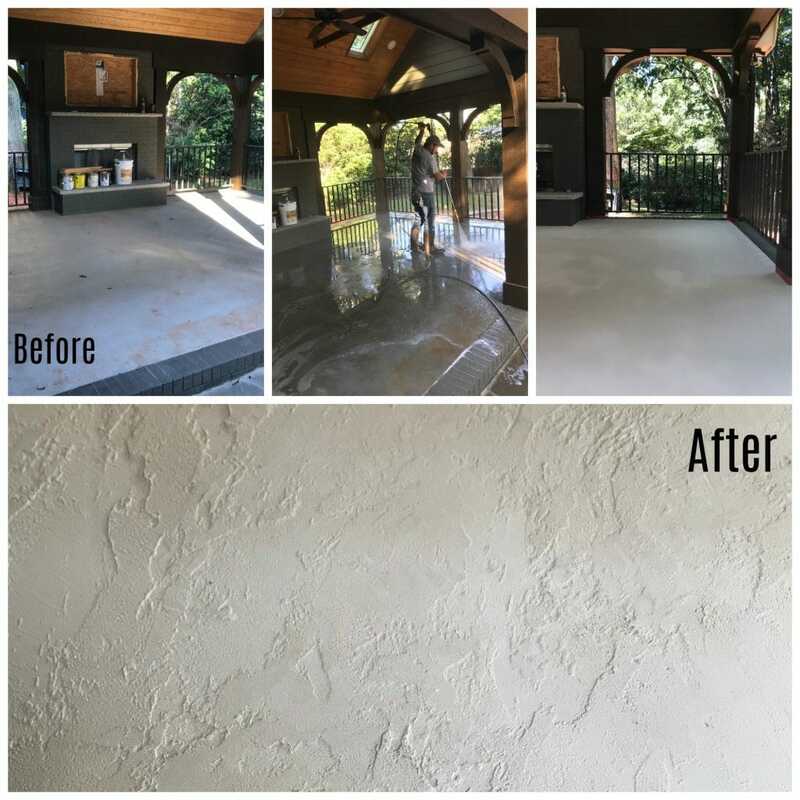 Above: Day One ~ The new concrete slab is pressure washed, sealed, and given a “trowel down” finish. Above: Day Two ~ The slate paving pattern is applied by hand on the textured, sealed concrete. Above: Day Two ~ A hand saw is used to cut the shapes into the concrete surface. Two coats of concrete stain are applied, and the surface is sealed. 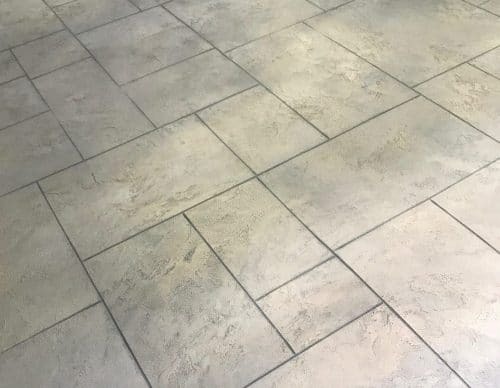 The stain collects in the grooves, giving the appearance of grout.